We had another round of lunches a few weeks ago. This one included Brian Dabson, Tyler Mulligan, Shannon Tufts, and Norma Houston. It was enjoyable, as always, and I learned a lot. This post describes what Shannon shared with the group, and I’ll summarize the others in the next few days. Shannon started by talking about Kobi, who won Nathan’s Famous Fourth of July International Hot Dog Eating Contest in Coney Island. 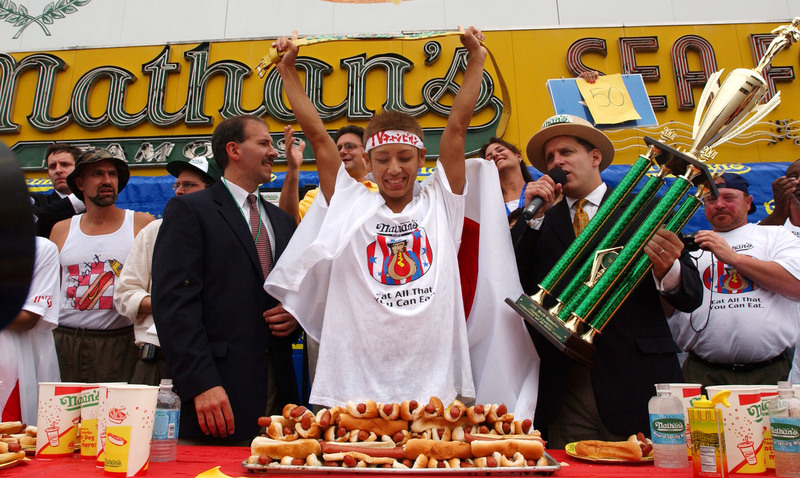 He destroyed the old record—25 hot dogs in 12 minutes—by eating 50 in 12 minutes. All of the other competitors approached the contest by asking how they could eat more hot dogs. Kobi asked a different question: How can I make hot dogs easier to eat? (I think it involved breaking the hot dog in half, not eating it with the bun, and soaking the bun in water). What was the point of Shannon’s story? Problem solving involves asking the right questions, and too often local governments (and many others) ask the wrong questions, or maybe don’t ask enough questions. 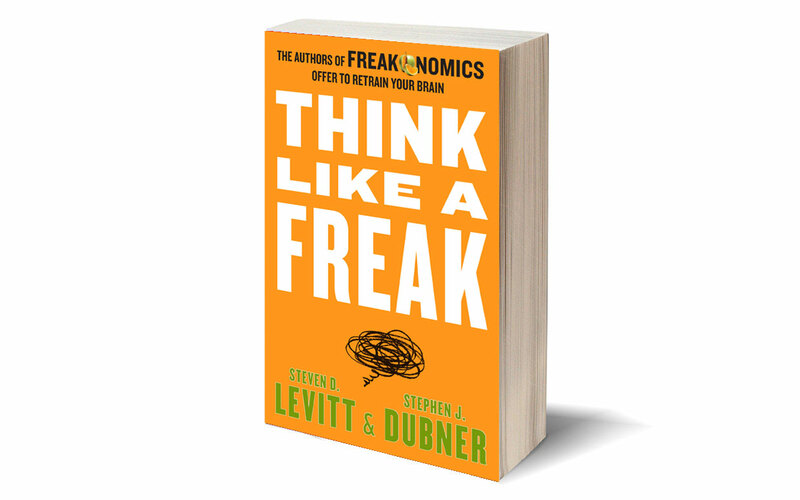 Shannon recently had read the book Think Like a Freak, written by the economists who wrote Freakonomics. The book offers strategies for helping people figure out how to go beyond seemingly obvious—and often wrong—answers to find even more effective solutions. Shannon described a town that had hired the Center for Public Technology to evaluate its enterprise resource planning (ERP) system, which is how they manage their finances, human resources, and some other functions. Town officials had concluded that the system was a failure because over a number of years it never had done what they wanted. New people were hired who had preconceived ideas about the ERP system and decided it needed to be replaced. In fact, they already had budgeted $2 million to buy a new one, and they were waiting for Shannon to confirm what they already had decided. Not surprisingly, Shannon never takes the easy way out. 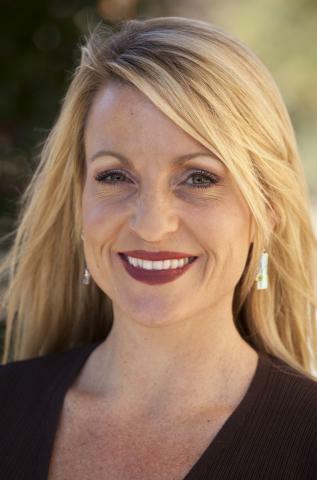 She investigated other local governments that used the same ERP system and discovered that the town had never implemented the software correctly. They had not asked the right questions. They also did not understand that implementing a new software system often requires changes in an organization’s existing work structure. There is no such thing as plug-and-play when it involves complex systems, and organizations often do not always understand that important point. Other software vendors were only too happy to sell the town an expensive new ERP system. One of the original reasons for creating the Center for Public Technology was to provide local governments with objective expertise so that they did not have to rely as much on the promises of vendors. Shannon is planning for the Center to create local government user groups about specific kinds of software so that people can learn from us and from one another. The groups will include IT directors as well as end users of the software. Shannon wants them to learn how to ask the right questions when it comes to designing, purchasing, and implementing systems. By creating communities of practice among our clients, the Center will be teaching IT professionals to be more effective consumers on the front end and better at making the organizational changes needed for implementation. This is an exciting new body of work for the Center for Public Technology, and the impact could be significant—Shannon’s example ended up saving $2 million for one town. The user groups are one more example of how the School often has an impact by serving as a neutral and informed convener of public officials.